Remains of the Day: Unemployed...in Greenland? If you’re looking for a rare piece of Apple history, look no further—I’ve got a deal for you. Also the grey market for iPhones just went ballistic, and Google has a new URL-slimming plan that’s sure to be all the rage. We wrap up the month with the remainders for Thursday, September 30, 2010. If you’re looking to be the envy of every other Apple geek in your social circle, then get ready to put your credit card where your mouth is, because the former collection of the Mac Museum of New Jersey probably can’t be beat. Among the items in the lot are a Macintosh XL, a 20th Anniversary Macintosh, and a glass-encased lock of Steve Jobs’s hair, circa 1984. 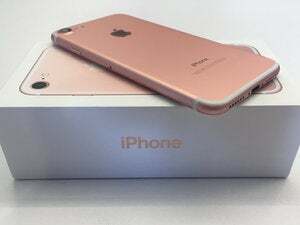 Reportedly, Apple’s Beijing store lifted its two-per-customer iPhone limit on Wednesday, causing a huge flood of scalpers to start buying up phones left and right, and then selling them off outside for significant markups. Eventually a fight caused police and Apple security staff to close the store temporarily. Somehow, I’m sure there’s a way this all traces back to Verizon. Competing with services like TinyURL and bit.ly, Google has made its goo.gl shortening service available to the public. And all they had to do to snag that sweet URL was buy Greenland.